This week, Sikhs around the world are preparing to celebrate the religiousobservance of Vaisakhi. 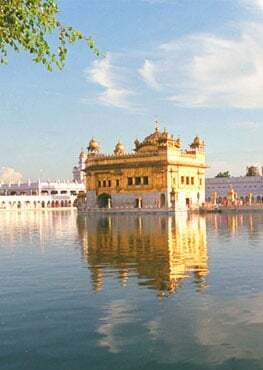 Several key historical events are connected to the festival, including the inauguration of the Khalsa, the body of initiated Sikhs, in the 17th century. Vaisakhi, also known as Baisakhi, is a traditional harvest festival celebrated by Sikhs. ...Vaisakhi takes place during the month of Vaisakh on the Nanakshahi calendar, a solar calendar used in Sikhism. This year, the festival falls on Sunday 14 April, coinciding with the Christian observance of Palm Sunday. The month of Vaisakh falls between mid-April and mid-May on the Gregorian calendar. Some believe that Vaisakhi signifies the Sikh New Year. However, according to the Sikh Press Association, this widely-held belief is incorrect. ...During the processions, hymns are sung from the Guru Granth Sahib, the book of Sikh scripture. The traditional colours of Vaisakhi are yellow and orange, World Sikh states. This is because they represent the "spirit of rebirth and sacrifice of the Panj Pyare". The colours are also symbolic of "joy and celebration", which is why they're worn by those observing the festival.